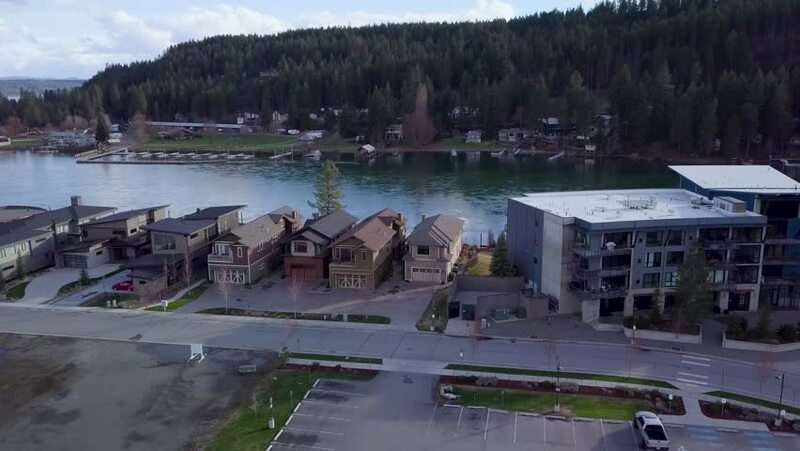 Aerial flight towards the north bank of the Spokane River showing some houses and an office building. Flying forward north to south. 4k00:10Budapest, Hungary - May, 2018: Buildings near Gellert Hill, in Budapest, Hungary. 4k00:27A small town near Hiroshima, Japan, with a dried up riverbed and boats sitting in the dry sand. hd00:20Valdez oil pipeline terminal building and storage tanks. Loading dock area where ships are filled for transport of crude oil. Misty fog weather. Mist and beautiful clouds. hd00:23CIRCA 2010s - High angle over Kaneohe Bay air station.